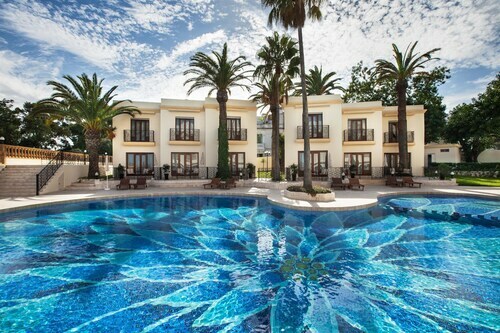 Nice pool and spacious room. Staffs are helpful but need more training and experience. 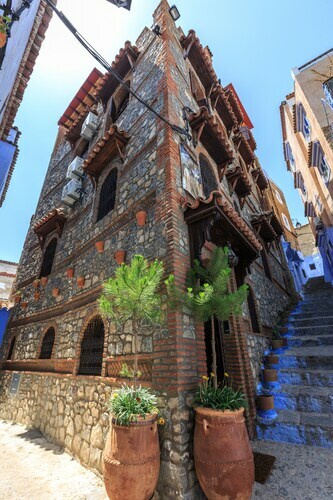 Located in the heart of Chefchaouen, this riad is within 1 mi (2 km) of Plaza Uta el-Hammam and Chefchaouen Waterfall. Chefchaouen Kasbah and Ras Elma Park are also within 15 minutes. Located in the heart of Chefchaouen, this historic riad is within a 5-minute walk of Plaza Uta el-Hammam and Chefchaouen Waterfall. Chefchaouen Kasbah and Ras Elma Park are also within 15 minutes. Located in the heart of Chefchaouen, this riad is within a 15-minute walk of Plaza Uta el-Hammam and Chefchaouen Waterfall. 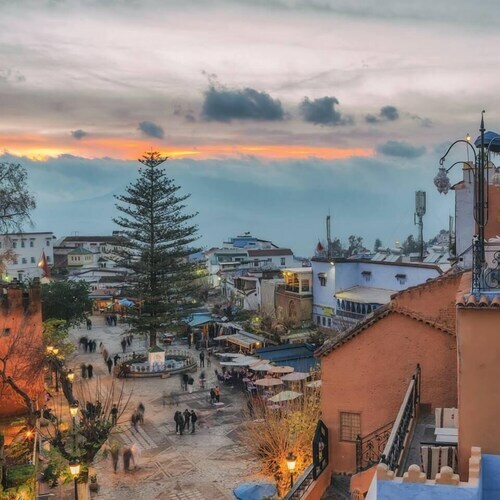 Chefchaouen Kasbah and Ras Elma Park are also within 1 mi (2 km). Situated by the sea, this riad is within a 15-minute walk of Petit Socco, Port of Tangier, and Tangier Beach. American Legation and Old American Legation Museum are also within 5 minutes. 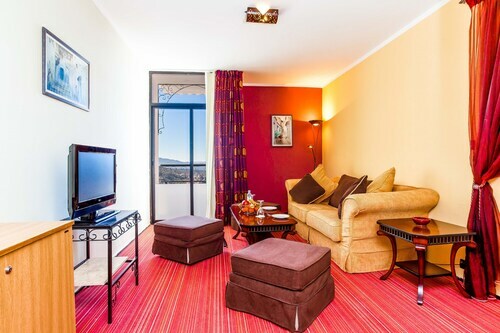 Situated in Tetouan, this riad is within a 5-minute walk of Tetuan Palace, Mohammed V Avenue, and Medina of Tétouan. Tétouan Kasbah and Feddan Park are also within 10 minutes. 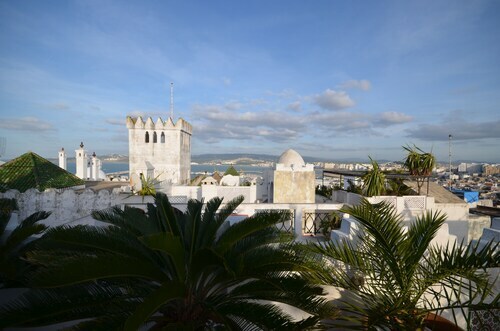 Situated in Tangier, this riad is within a 15-minute walk of Petit Socco and Port of Tangier. Tangier Beach is 0.9 mi (1.4 km) away. Situated in Chefchaouen, this riad is within a 10-minute walk of Plaza Uta el-Hammam and Chefchaouen Waterfall. Chefchaouen Kasbah and Ras Elma Park are also within 15 minutes. Situated in the mountains, this riad is within 1 mi (2 km) of Plaza Uta el-Hammam and Chefchaouen Waterfall. Ras Elma Park and Chefchaouen Kasbah are also within 1 mi (2 km). 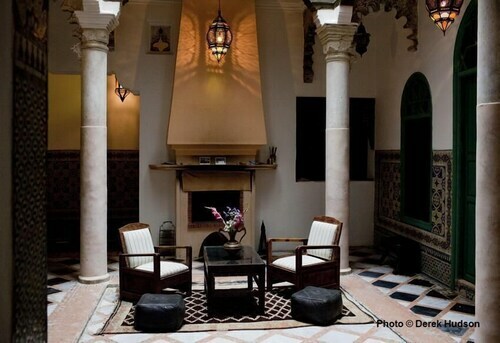 Situated in Tetouan, this riad is steps from Tetuan Palace and Medina of Tétouan. Mohammed V Avenue and Tétouan Kasbah are also within 10 minutes. Mood lighting, design accents, and perfectly coordinated colours—for you, it’s all about atmosphere, and that includes on holiday. In fact, you especially want the perfect atmosphere on holiday. And if there’s one place that has incredible vibes in spades, it’s the mysterious land of Morocco. The bustling marketplace, ornate mosques, and exotic gardens…how can you top that? 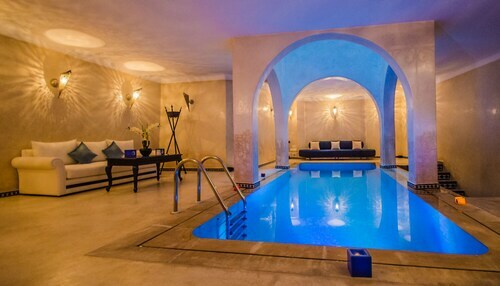 Well, you can make sure you book a stay in one of the incredible riad hotels in Tangier, for starters. It’s more than just amazing ambiance. 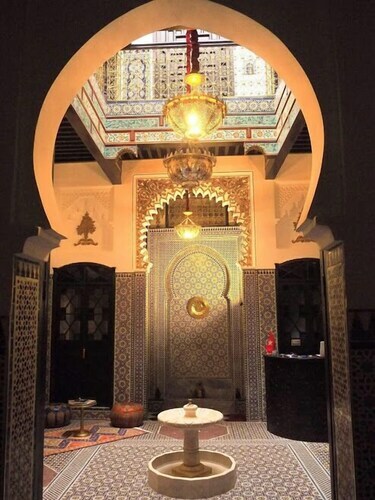 You’ll be transported to an entirely new world when you walk through the ornate doors of your riad accommodation. 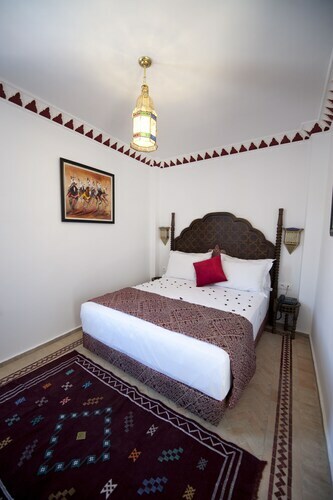 With hand-painted murals, antique sculptures, and plenty of mood lighting to suit your refined aesthetic, Tangier luxury riads will make you feel like a king or queen. This makes sense: Riads were traditionally the city homes of the rich and famous (well, as famous as you could get back when there were job titles like “merchant” and “lady-in-waiting”). But the real magic happens in the courtyard. 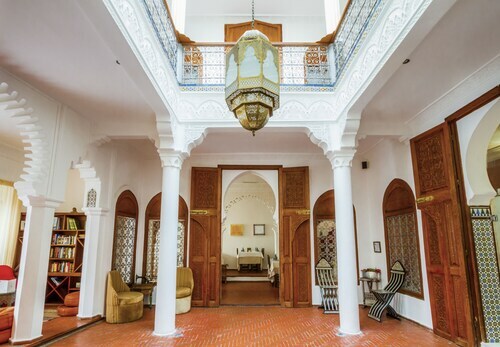 Whether it’s a lush garden, a lavish patio, or a marvellous modern design, the courtyard is the centrepiece of life in Morocco and of any authentic riad. And speaking of ladies in waiting, the attention you’ll receive will be so on point, you’ll feel like you have one. We know you’re feeling pretty excited by now (and just wait until you try the Moroccan spiced coffee), but try to calm down enough to focus on this screen. 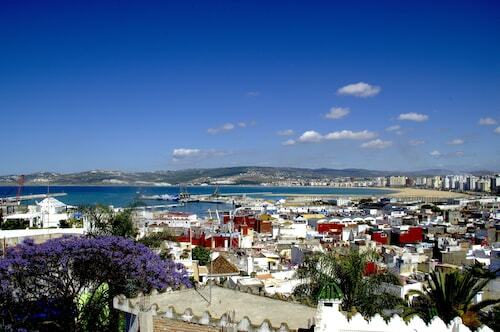 Then search through Wotif’s awesome deals on Tangier riad accommodation and plan your holiday. OK, now you can get psyched. Located in Tangier, this beachfront hotel is in the city center and within 1 mi (2 km) of Tangier Beach, Petit Socco, and Grand Socco Tangier. American Legation and Port of Tangier are also within 1 mi (2 km). Tanger Ville Station is 17 minutes by foot. Located in the heart of Tangier, this golf hotel is within a 15-minute walk of Old American Legation Museum and Tangier Beach. Port of Tangier is 0.9 mi (1.4 km) away. Tanger Ville Station is 29 minutes by foot. 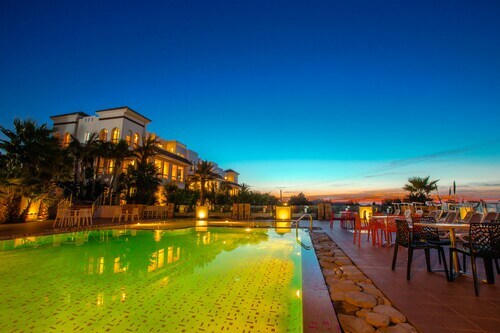 Situated near the bay, this aparthotel is within 6 mi (10 km) of Tangier Beach, Port of Tangier, and Tangier City Mall. Old American Legation Museum and Grand Socco Tangier are also within 6 mi (10 km). Located in the heart of Tangier, this luxury hotel is within 1 mi (2 km) of Place du 9 Avril 1947, Port of Tangier, and Tangier Beach. Grand Socco Tangier and Petit Socco are also within 10 minutes.